Thanksgiving, Hanukkah, Christmas, Kwanzaa, New Year’s Eve and Valentine’s Day are just around the corner. The holidays are supposed to be the “most wonderful time of the year” . . .
a time when we create happy memories surrounded by our family and loved ones. 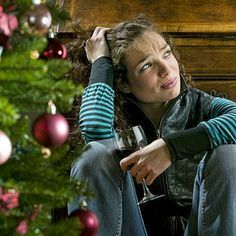 When your marriage is in crisis due to sexual addiction, the holiday season is often anything but happy. absolute w a i l s.
I couldn’t stop. People were looking at me. WHAT’S UP WITH HER? I had to flee the mall. That Christmas, I did gift cards. If you are feeling sadness or dread about this holiday season, you don’t have to go it alone. Get the support you deserve to get through this holiday season. Finding Peace and Joy During the Holidays is a 4 month group coaching program that will give you a place to plug in for support as you walk through all the BIG HEARTACHE holidays. THIS IS WHAT WE’LL DO TOGETHER . . .
Look at your cherished holiday traditions and explore which ones you want to keep, which ones you want to toss, and which ones you want to adapt to your new reality (and how to do that in a way that feels great). We’ll also look at creating NEW traditions that don’t have any of those old yucky memories attached to them. Talk about grief and how to take care of your body when your heart is breaking. Explore healthy ways to deal with uncomfortable situations. Develop a plan for how you’re going to create more joy in your life in 2018. Depending on who’s in the group, we may also look at . . .
How to help your children through their holiday heartaches. How to survive the pain of holidays when your kids are no longer talking to you. How to handle the “next” if your “ex” has moved on and your children have to spend part of the holidays with HER. We will for sure cry together and we might even do a little laughing together, too. THIS IS HOW WE’LL DO IT . . .
From November 2017 until the end of February 2018, you will get three 90 minute Group Video Calls (these are calls where we can see each other) per month with content, Q & A, and spot coaching as you need it. You will be provided with various assessments that give you a window on what your values and needs are as well as where you might need to strengthen your boundaries. Unlimited access to a Private Members Only Facebook group where you can post your thoughts, questions, victories, and ideas and get real time feedback. The Finding Peace and Joy During the Holidays Group Coaching Program is $375, but if you’d like a payment plan, you can do four payments of $99. Those opting to pay the entire amount upfront will be given a bonus session on Wednesday, December 27 where we can talk about how Christmas went and celebrate any victories you had in making it through as well as support you in anything that didn’t go as you’d hoped. Which payment plan is better for you? We’re starting on Wednesday, November 15, 2017. Choose your payment option and say “YES” to the support you deserve to get through the holidays. To pay in full and secure your bonus session use this button.